Our technical team, who has extensive experience and the necessary technical means, performs on site verification of the state of the equipment and piping. They already have years of experience through the realization of different tests (hardness barcol, ultrasonic thickness checking, Visual inspection … etc) so that unforeseen and very costly accidents and production stoppages can be avoided. 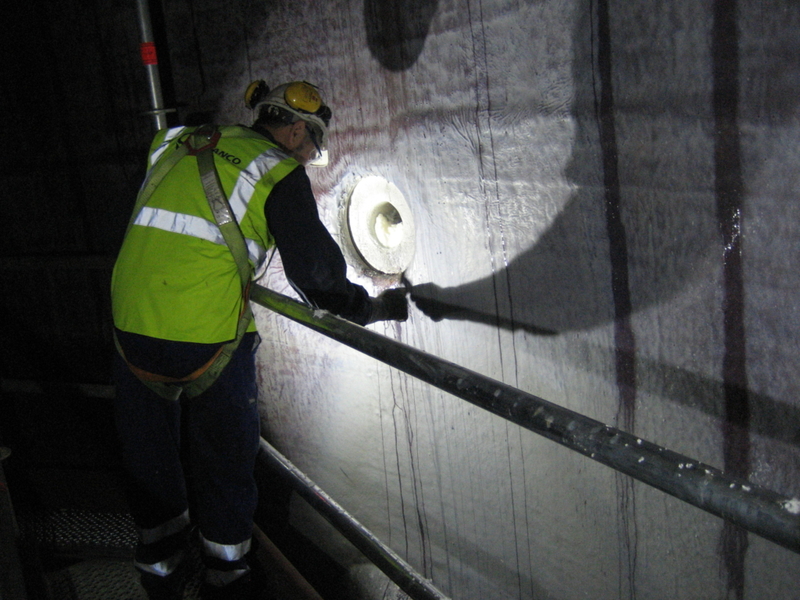 Inspection of inner lining in FRP of chlorine dioxide tower of Ø 6 meters and height 30 meters.